A concentrated 500 mcg. 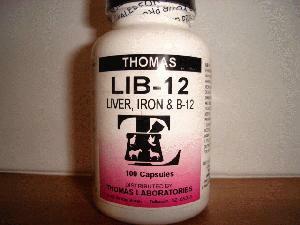 tablet of Liver, Iron and B-12 100 ct. bottle. A high potency nutritional supplement for use daily when additional amounts of Iron and Vitamin B-12 are desired. Use 1 Capsule Daily as needed.